Christian hypocrites exist within the church today. Through this study we can learn how to minimize the issue. Jesus and the Pharisees reveal many spiritual issues that we can avoid. 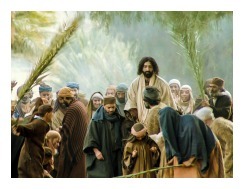 Please read Matthew 23:1-39 before starting GraspingGod.com's free Bible study lessons, #2.11. 1) What is a hypocrite? 2) What are Christian hypocrites? 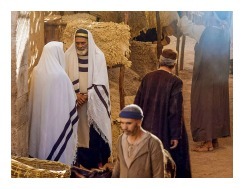 3) Who were the Pharisees? 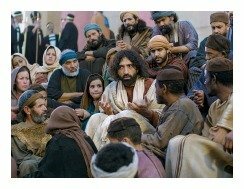 Jesus and the Pharisees had a unique relationship in the Bible. Jesus despised these men for the most part, because they were actors in the worst sense of the word. Let's plunge into Matthew 23 and see what we can learn, especially about Christian hypocrites. I've directly heard unbelieving people say the reason they don't believe in God, or the reason they don't attend church is because of Christian hypocrites. It's a valid point, but not a viable reason for either one of their issues. No one will have an excuse on judgment day, because we are to look only at Jesus Christ as a model (Hebrews 12:2). Do you know the definition of hypocrite? A hypocrite is a person who says one thing and does another. A hypocrite is an actor - someone who portrays something he isn't. Christians espouse the Bible and share their faith, so when they intentionally fall into sin they are guilty of hypocrisy. Christians are all guilty of hypocrisy, to varying degrees, because all Christians sin. The key is to not fall into a pattern of unrepentant, unconfessed sin. Let's study a biblical relationship in which we can learn about the dangers of Christian hypocrisy. This will help us better understand our responsibilities towards God and other people. The relationship I'm talking about is between Jesus and the Pharisees. Jesus had strong words for these men of great pride. 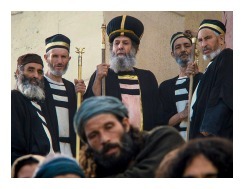 The Pharisees were a religious and political party based in Palestine during the times of Jesus Christ. They were established in the 2nd Century B.C. by a faithful group of Jews called the Hasidim. The Greek influence had eroded Judaism, so the Hasidim arose in response by holding strictly to the Jewish ritual laws. The Hasidim were greatly used by God when the Syrian King Antiochus IV attempted to annihilate Judaism. The Hasidim took part in the revolt of the Maccabees to successfully defend the faith. The Essenes and the Pharisees sprung from this movement. The Essenes split from known Judaism and established their own Jewish communities. The Pharisees remained in the traditional Jewish establishments, becoming a strong part of the Greek and Jewish government. They soon found their members being placed on the Sanhedrin, which was the supreme court and legislative body of the Jewish nation. You know what happens when pure religion is mixed with politics! You guessed it. The Pharisees' faith became compromised when mixed with the politics of the day. Another key factor in the issue we're discussing is that much earlier before the Pharisees existed, the Jewish priests lost respect from the common Jewish people because they fell into corruption. This left the scribes to interpret and teach God's law to the people. 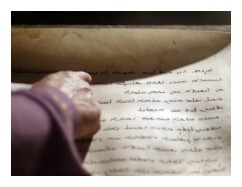 The scribes built what became known as the "tradition of the elders" which gave instruction to the Jews. It was honored and the teachings became accepted by the Pharisees. The Pharisees also taught that God's law was made up of specifically 613 scriptural laws. Jesus and the Pharisees' relationship can begin here. If the Pharisees had stopped at that point and treated all the laws equally, Jesus would have been perfectly fine with them. Jesus said in Matthew 23:2, "The teachers of religious law [scribes] and the Pharisees are the official interpreters of the law of Moses. So practice and obey whatever they tell you." That is a ringing endorsement by Jesus. "Listen to them, people, and obey them because they KNOW what they're talking about!" Wouldn't you love to hear those exact words from Jesus? Jesus and the Pharisees' harmony can end there, because that is one of the few things they did correctly, according to Jesus. Let's study the foundational problem of the Pharisees. The Pharisees gradually became so strict in their interpretation of the Law, that they were reduced to hyper-focusing on certain laws, such as the laws of tithing (aka giving) and ritual purity. They also strictly enforced the Sabbath rest, divorce, making oaths, the wearing of religious phylacteries and fringes, etc. The common Jewish folks had an extremely hard time of conforming to the Laws and the Pharisees distanced themselves from them in response. 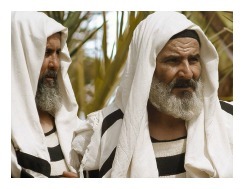 A gulf grew between the Pharisees and Jews. The Jewish people maintained their respect for the Jewish Scribes and Pharisees because of the piety the religious leaders displayed. The Torah Scribes and Pharisees soon became proud, though, reveling in the attention and honor. They became much more interested in the ritual Laws that had to do with their appearance. Naturally, they also grew to be hyper-critical of the Jews who seemed disinterested in the Law. The gulf between them and the common Jews increased further in width and depth. They eventually placed themselves well above regular people, making the fact publicly known. The Pharisees toughened the Laws by more strictly enforcing them. Their hearts grew colder and colder, no longer loving the Lawgiver, i.e. God, but loving themselves. They grew increasingly more confident in their own abilities than in the faith that God provides. The Pharisees lofted themselves onto the throne of righteousness. They became, in their own minds, high and mighty (Isaiah 5:21). Are you beginning to put the picture of hypocrisy and the Pharisees together? Jesus had it all figured out! There were some respectable Pharisees, though, Nicodemus, Gamalil, and Simon the Pharisee, so, all was not hopeless for them. Let's turn our attention to Jesus and the Pharisees' relationship and how he turned his wrath upon them. Jesus rode into Jerusalem in his Triumphal Entry, before his torrent of woes verbally smote the Pharisees. Up until this critical time of Jesus' life, he had attempted to maintain a low profile. He usually told his disciples and people he healed to refrain from telling others who he really was, that is, the Messiah. Jesus was not sent to be the charismatic King of national Israel - one who would lead them into battle and sit on a glorious earthly throne. He wasn't going to draw ridiculous amounts of followers to himself - he didn't want to raise a "movement" while he remained on earth. That was not the Father's plan for his Son's earthly duties. Well, his time had now come and the sacrifice that the Father had appointed to him was imminent. Jesus no longer cared that people knew exactly who he was and in fact, he told them exactly who he was! Immediately before this blistering attack on the hypocrites began, Jesus told the religious leaders that he was the Messiah! They now heard, straight from his mouth, who he claimed to be, without any doubt (Matthew 22:41-46). So, it's time Jesus and the Pharisees agreed on who they really were - hypocrites! There is no one that Jesus Christ despised more than a wolf in sheep clothing, which is what these religious hypocrites really were. Jesus' immediate mission was to prove these hypocrites wrong, because they did not believe that he was the Messiah. Jesus had to defend the truth. The world had to know that Jesus Christ was the Messiah, the Son of the Living God, who came to take away the sins of the world. Jesus was telling the disciples and other listeners to follow what the Pharisees taught. After telling his followers to respect God by disallowing anyone to call them "Rabbi," "Father" or "Teacher," he turned his volcanic wrath upon the Pharisees.
. He pronounced seven woes upon them in this vitriolic verbal assault. Let's evaluate Jesus and the Pharisees' diatribe in Jerusalem. Woe #1 (Matthew 23:13): The relationship between Jesus and the Pharisees was now ready to boil over. He judged the Pharisees for willful rebellion against him and that they would not be allowed to pass judgment. Their rebellion not only kept them out of heaven, but it also stopped the seekers of truth from experiencing God. Jesus wants all men to come to know him and his Father, but these religious hypocrites were standing in the way. Hypocrites block the Kingdom of Heaven's gates! Jesus despises nothing more, because these men were entrusted with the souls of people to lead them to the Good Shepherd. Unfortunately, they led them directly into Satan's grip. Christian hypocrites also block people from salvation. Woe #2 (Matthew 23:15): Teachers of Judaism, including the Pharisees, were active in global missionary activity. They would lead Gentiles into strict observance of Judaism and the Law. Jesus called them out because they themselves were the worst kind of hypocrites already, but now they were leading others into hypocrisy. These new converts (proselytes) would often become more zealous for works-based religion than the Pharisees who led them to Judaism. In other words, Christ condemned them for the multiplication of hypocrisy. They were rebellious, lost, and thusly "children of hell." Ouch! Christian hypocrites must heed these warnings from Jesus and the Pharisees' discussion. Woe #3 (Matthew 23:16-22): Jesus castigated the "Blind Guides" for polluting the people's minds and acts about the oath and vow system. Oaths were promises the people made to God, for many things, but most notably sacrifices they would bring to the altar, or possibly some service they would perform. The people would swear by heaven or earth or Jerusalem or the Temple, etc. The Pharisees, however, turned something so simple and pure into a massive set of ridiculous laws. For instance, an oath made by the "gold of the temple" was more binding than an oath simply made by "the temple." Jesus berated them for placing more importance on simple gold than the temple, or the altar. The Pharisees liked their valuables and their hypocritical laws proved it. Read Matthew 5:33-37 for Jesus' guidance in simplicity of oath-making. Woe #4 (Matthew 23:23-24): Jesus and the Pharisees' conversation continued and Jesus pinpointed yet another error in their activities. The Pharisees had an elaborate tithing (giving) system that they wrote into Law. They presented the Law to make themselves look good to the public. They tithed from everything and the people were consequently impressed with them. Jesus called them out for fraud and leading people astray. He said in their zeal for tithing they totally forgot about "justice, mercy, and faithfulness" which God required for his people. The Pharisees substituted unbearable tithing laws for the giving ordinances. They replaced God's beautiful spiritual graces with man's overbearing regulations. Shame on the Blind Guides. Christian hypocrites, every one of us, take note. Woe #5 (Matthew 23:25-26): The Pharisees demanded ceremonial cleansing of everything, including their drinking cups. They were extremely concerned about the details in cup washing. Jesus called them hypocrites for worrying more about the outside of a cup than the inside of the cup, because the drink actually came in contact with the inside of the cup. Jesus used the illustration to expose them for worrying more about their external appearance than their inward integrity and character. We Christians should learn that appearances are not priorities. Woe #6 (Matthew 23:27-28): Similar to the fifth woe, the sixth woe found Jesus using the appropriate illustration of white-washed tombs to enlighten the crowd about the Pharisees' hypocrisy. Hebrews buried their dead in tombs and after sealing them with a stone, they would paint the outside white. So, the tombs were actually beautiful in appearance, however, they were full of rotting corpses. Jesus told the Pharisees that's exactly what they were - beautiful on the outside, but rotting death on the inside. This is such a shocking illustration. A man is only as righteous as his character dictates - he is only as holy as his last sinful thought. A person spends lots of time keeping his body attractive, but God knows exactly what's happening on the inside. You can't fool him. Woe #7 (Matthew 23:29-36): I said the first woe was what Jesus hated the most. I take that statement back! Woe #7 is by far the worst thing that the Pharisees do to draw God's ire. Jesus says that in spite of the internal corruption of these religious hypocrites, they present themselves as God's representatives who silence and kill the prophets, who they claim are false. The Pharisees are cut from the same cloth as those who killed God's greatest prophets and they will be held accountable for their association. Jesus calls them snakes, collectively a brood of vipers. He knows they are already planning to kill him, the Messiah himself. He knows the evil in their hearts. He knows they will also kill most of his disciples and many of his future followers. Christ is condemning these wicked men for pretending to be holy, when they themselves are murdering the holy men who were sent by God. Snakes! Jesus Christ condemns the Pharisees for all the past murders of his prophets and all the future murders of him and his prophets. These Pharisees would experience the worst of God's wrath. Special Note: The "Jesus" film rendition of this tirade is posted on Youtube at the end of this lesson. 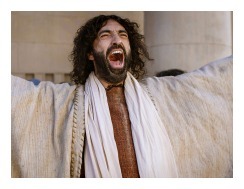 Jesus and the Pharisees - Grasp This! Christian hypocrites are simply people who outwardly pretend to be better than what they inwardly are. A man cannot fool God, though. God is keeping records. There will be no escaping judgment day for the Christian hypocrites. Jesus and the Pharisees' relationship is of profound interest to Christians. We get mighty high on ourselves and soon start condemning the lost. Shame on us. Chronic personal hypocrisy is a sure sign of an immature Christian. Jesus Christ wanted this Matthew 23 tirade recorded so we could learn from him. He doesn't want us to be hypocrites and guilty of the same thing as these men were. Hypocrisy does so much damage to God's Kingdom because it repels the lost from his amazing grace. St Paul the Apostle indirectly suggests a cure for habitual hypocrisy, "So we have stopped evaluating others from a human point of view." (2 Corinthians 5:16). God hates nothing greater than hypocrisy - Jesus and the Pharisees' relationship proved it. Examine ourselves, first and foremost, making certain our own faith is genuine (2 Corinthians 13:5). We need to daily peer into the mirror of the Ten Commandments to make sure our lives are pure. Breaking one of God's laws equates to breaking them all (James 2:10). That's something to keep in mind when you're thinking about judging someone else. Beware of personally devised "biblical" rules - do NOT judge others with your morality code (James 4:11-12). A command that isn't directly spoken in Scriptures must be handled with care in teaching, correcting and rebuking others (Colossians 2:20-23). Tread gently and patiently in teaching "biblical" truths. 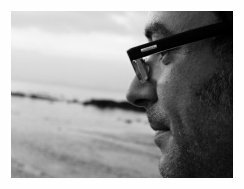 Practice our spiritual disciplines (e.g. Bible study, prayer, confession, service, giving, and fellowship). Display the fruits of the spirit in our lives (Galatians 5:22-26). Love and serve God with our whole heart. Love and serve others with our whole heart. Be no respecter of a person's intelligence, beauty, position, abilities, or wealth. (Matthew 20:16; Acts 10:34). Always search Scriptures for righteous living passages and adjust our lives accordingly. Don't lead others astray. Maintain and protect our Christian testimonies. Let's do our best so we're not Christian hypocrites. But, when the time comes and we're guilty of hypocrisy, immediately repent and seek forgiveness. Please don't be a modern Pharisee. 2) Why is the worst eternal punishment in store for the hypocrites of history? 3) What can a person who has fallen into hypocrisy do in order to return to God's good graces? Or, is it hopeless? Please have mercy on me, the sinner! because I have your Word and Spirit and sin anyway. and there I fall again! 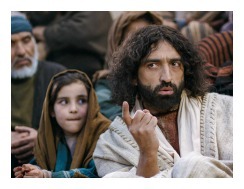 the story of Jesus and the Pharisees. before my sin leads others astray. God help me overcome my hypocrisy. After sharing this Bible study lesson on Facebook or Twitter below download your FREE printable Bible Study Lessons (pdf version): Jesus And The Pharisees, Lesson 2.11. Please Donate to GG.com. Return to Life of Jesus Christ page. Return to GraspingGod.com Homepage. Special Note: I'm grateful to Big Book Media & Free Bible Images, Stock Exchange, Morgue Files, and Stock Photos For Free for the use of their photos for Jesus and the Pharisees.